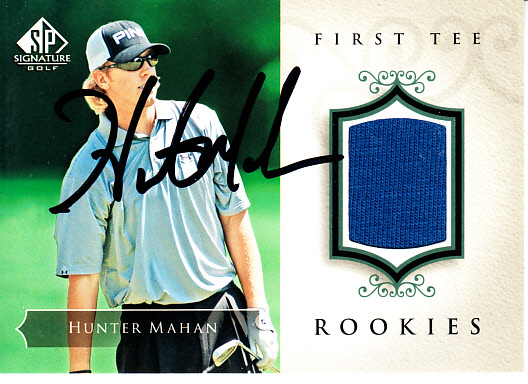 2004 SP Signature Golf Authentic Fabrics card of Hunter Mahan with a swatch of shirt he wore during a tournament, autographed by Mahan in black marker. Obtained in person. With certificate of authenticity from AutographsForSale.com. ONLY ONE LEFT.